Brrrrrrrrr! Baby, it’s cold outside! 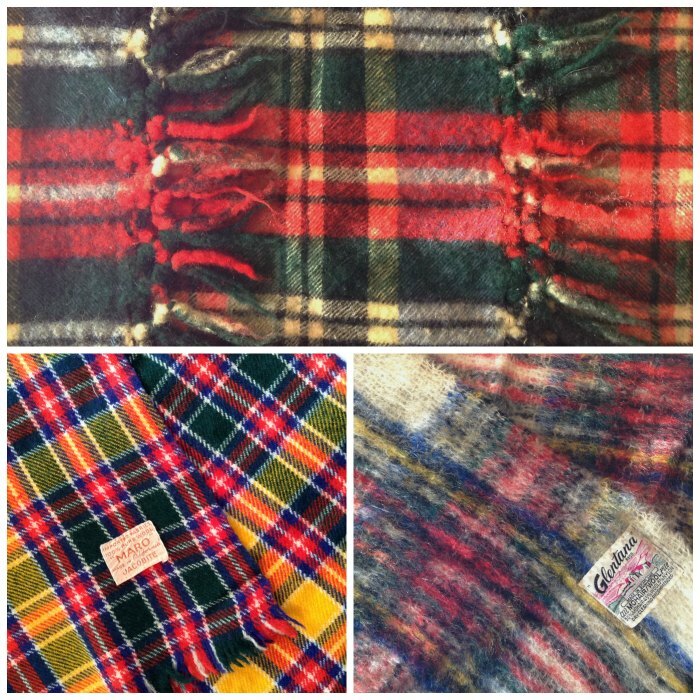 That’s why I have a snuggly obsession with vintage plaid scarves. They’re warm. They’re cozy! They’re cheap at thrift stores and take up waaaay less space than tablecloths. Yep, there’s more! It’s not very glittery or vintage, but this piece holds a special place in my heart. My father made it in 2005. From the front it doesn’t look like much more than a large chunk of malachite. But the back, ah, that’s another story. He cut a Christmas tree out of the sterling silver setting. It’s unusual because it isn’t a heart or a thunderbird, the two design elements he used over and over. Perfect with a plaid Pendleton shirt on the leather cord he braided. He would have worn them for Christmas with clashing green plaid pants.